Dealing with a terminal illness is often both painful and stressful, so many patients explore complementary therapies including acupuncture, hypnotherapy, and herbal remedies to help alleviate some of their more difficult symptoms. When coupled with conventional treatments, complementary medicine can offer terminally ill patients tools to lessen their suffering. Complementary medicine is defined as health care that is outside the realm of conventional medicine and is utilised in conjunction with traditional therapies. Complementary treatments are commonly used to ease pain, both physical and emotional, and can be quite beneficial to those who are undergoing treatment for terminal illness. 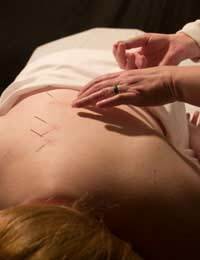 Acupuncture: Fine needles are inserted into specific points on the body and manipulated in order to relieve pain and offer therapeutic benefits. Acupressure: Physical pressure is applied to specific points on the body, stimulating the body’s natural healing abilities. Homeopathy: Treatment consists of using substances that would produce symptoms in healthy people that mimic those experienced by the patient – but the serial dilution removes the toxic effects, leaving the body to heal. Aromatherapy: Volatile plant oils, including essential oils, are inhaled in order to trigger a reaction in the brain as well as to get direct therapeutic benefits when the naturally occurring chemicals are inhaled into the lungs. Meditation: Focusing the mind of a thought or object is thought to alleviate pain, reduce stress, increase concentration, and promote relaxation. Hypnotherapy: Hypnosis is often utilised by patients who are trying to lose weight or quit smoking, but its ability to promote relaxation can make it useful for terminally ill patients looking to relieve some of their anxiety. Herbal Remedies: Herbs can have powerful healing qualities, but their use must be well researched because misuse can pose dangers. Massage: Applying pressure and manipulating soft tissues of the body can induce relaxation, alleviate anxiety and depression, and stimulate the lymphatic system in order to promote healing and overall improved health. Reiki: The laying of hands is used to tap into the body’s life force energy, promoting relaxation and healing. Complementary and alternative medicines have some things in common – both utilise therapies that are outside of mainstream treatment and are typically far less invasive than traditional treatments. The main component that distinguishes complementary medicine from alternative is that the first is used along with traditionally prescribed treatment courses while the second is utilised instead of them. This difference is enormous, giving complementary medicine a much higher degree of acceptance amongst the medical community. Patients are most often advised against foregoing standard treatments in favour of relying solely on alternative options, but many doctors support their patients’ desires to seek therapies that complement the existing protocol. A terminal diagnosis is bound to leave patients reeling, uncertain as to the best ways to proceed. Stress, anxiety, fear, and depression are perfectly normal reactions to such news, and patients need to take any steps that they can to regain their ability to think clearly, relax, and create an environment of hope. For some, complementary therapies offer just such benefits, making these treatments enormously valuable.